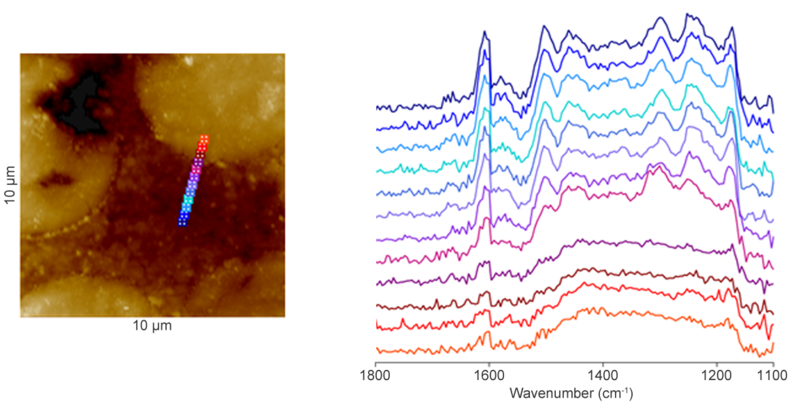 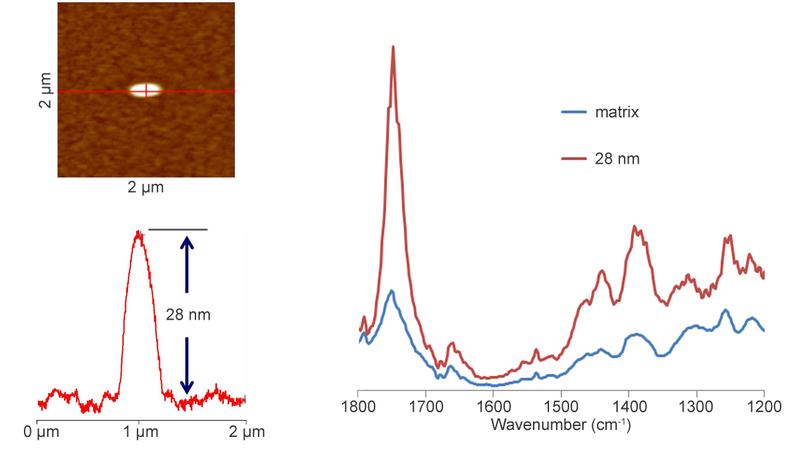 nanoIR2 measurements on a carbon fiber-epoxy composite revealing variations in chemical composition across the fiber/epoxy interface. 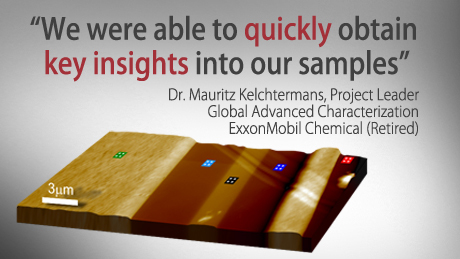 This measurement was performed on a polished bulk sample. 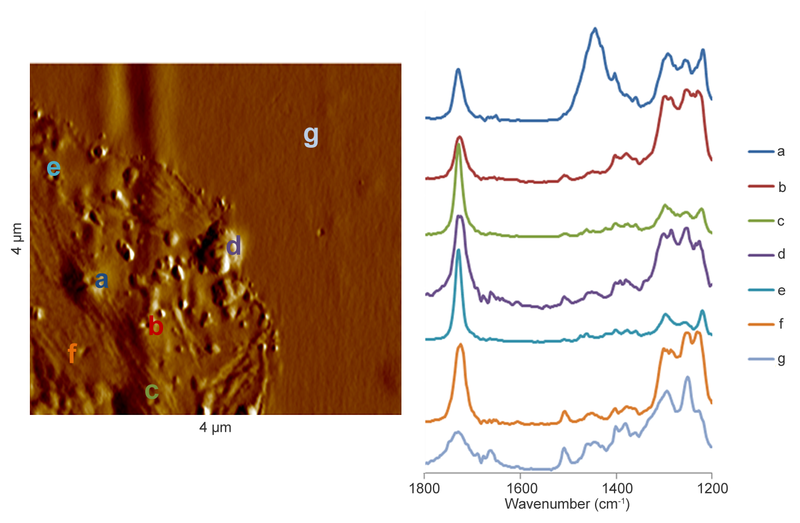 Toner particles are a complex mixture of multiple components, the nanoIR2 allows identification and localization of these components with nanoscale resolution. 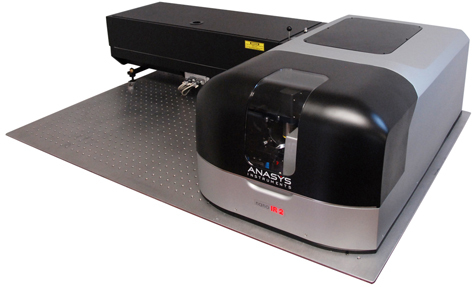 Developed by Anasys Instruments, this award-winning technology uses Anasys ThermaLever™ probes to locally ramp the sample’s temperature to measure and map thermal transitions and other thermal properties.